That's not all! T-shirts by Bamigo have a high quality finish. All these advantages make Bamigo underwear the ideal choice! Great news for everyone who hates it when their T-shirts ride up! Bamigo takes care of those unpleasant crawlers. Get our extra long T-shirts and never deal with this problem again. That is because all Bamigo T-shirts are longer than normal T-shirts. From now on your T-shirts will easily stay tucked into your trousers. 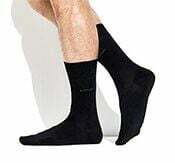 I can hear you think: do they not shrink after washing? Keep Cool! All Bamigo T-shirts are made from bamboo, which has almost the same shrinkage as cotton. Naturally, we have taken this into account during production. So don't wait any longer. Order these superb T-shirts by Bamigo! 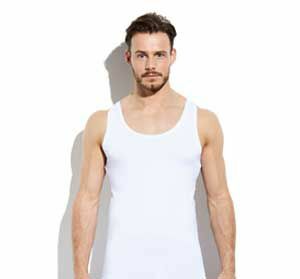 Have you been looking for T-shirts that are invisible underneath your shirt? The contours of our T-shirts are completely invisible due to our new invisible khaki colour. Are you looking for a T-shirt that doesn't show when you undo your top button? 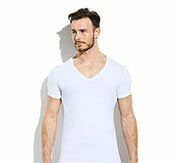 Bamigo has T-shirts with a deep V-neck, making them completely invisible even with an extra button undone.